Axonom provides specialty vehicle manufacturers, distributors, and dealers with visual product configuration software to accurately build and quote make-to-order vehicles and trailers. Powertrak enables prospective buyers to custom design a variety of vehicles including sprinter vans, buses, and trucks for public safety, education, hauling, freight, healthcare, etc. To meet each unique specification, Powertrak 3D Product Configurator guides the buyer through the configuration process, providing them with visual product models and rules-driven accuracy to ensure that each vehicle assembled is 100% valid. Then extend the configuration experience to virtual reality for validation. Learn How Powertrak Helps Sell and Market Your Configurable Specialty Vehicles! Increase your sales efficiency and improve the buying experience with an on-demand, self-service quoting, ordering, and product configuration solution that is readily available for your customers to access via your website. Your customers can design the vehicle, then save it, share it, quote it, and/or place an order at their convenience. It's visual, intuitive, and accurate - guiding the user through the entire sale at their pace. Eliminate errors with automation tools that include vehicle design logic and business logic. Our rules engine ensures that each add-on option, placement, and pricing is 100 percent valid. For the most complex of situations, Powertrak handles multiple price lists, tiered discounting, optional and bundled products, and cross-sell and upsell opportunities. 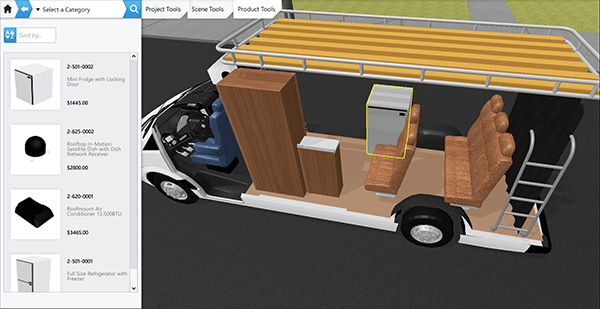 Help your customers 'see and experience' the vehicles and its corresponding add-on parts and accessories using 2D visual renderings or near-realistic 3D product models. Watch our 3D configurator demos. Improve online engagement by using interactive visualization tools compatible with mobile tablets and laptops. Visualization is an effective form of communication for both your sales and marketing teams. There are significant advantages to adopting a product configurator with drag-and-drop technology. Most customers are not "experts" and may not know all of the acceptable locations a particular product may be placed. Interactive guidance instills confidence! If there is more than one location a small refrigerator can fit in a van, our rules engine notifies the user all of the appropriate places it can be applied. 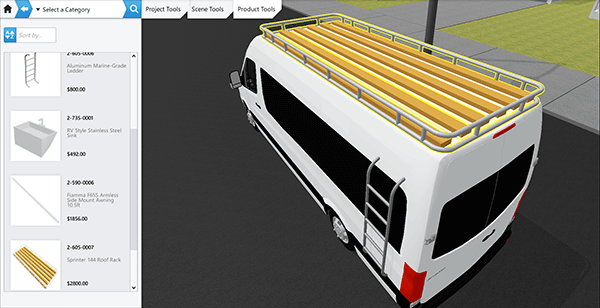 Take a look at some of our 2D configurator customers and try out their solution. Remove tribal knowledge from your complex pricing processes so that new employees don't make "rookie" mistakes. Manage pricing in one location and customize it by role - sales professional or external dealer. Standardize pricing rules for discounts, geography, user roles, and more. Equip your sales team and dealers with product bundling, and cross-sell and upsell features. Our pricing approval workflows ensure your rep isn't continuously handing out 'great deals' to everyone. Sales quoting automation ensures accuracy, efficiency, and consistency. Powertrak Quoting software delivers a positive first impression with its professional-looking design that includes your logos, images, files, and links. Manually looking up products and pricing is time consuming and error-prone. Don't make it hard for your sales team or customers. Give them everything they need to close the deal. Extend the configuration to VR. 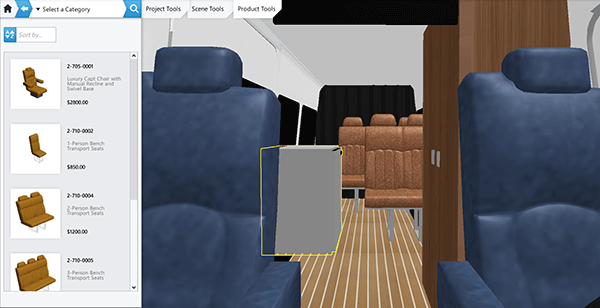 After the prospective customer configures a vehicle using Powertrak 3D Product Configurator, invite them to experience it in virtual reality. A click of the button sends a design code to the customer where they can view the vehicle with their smartphone connected to a Google Cardboard, Daydream, or Oculus Rift. Contact us for more information about Powertrak 3D CPQ for vehicle configurations!